The winning image, Milky Way over the Outback, was taken in July 2016 during a camping trip to Kooroorinya Falls Nature Reserve, south of Hughenden in Outback Queensland. We were the only campers, so the caretaker let us camp in this unused corrugated iron shack, which had a lovely fireplace just outside, where we did our cooking. My wife and children were already asleep when I noticed that the burnt down fire was just bright enough to illuminate the rusty shack. I took 6 vertical shots and stitched them on my computer to create this panorama. This is me in my new Páramo Cambia Zip Neck. Due to the harsh UV light and associated skin cancer risk I like to wear long sleeves during longer outdoor activities. I tried Cambia during a 13km hike to the top of a mountain called Steward Head [1220m] last weekend, and it kept me nice and cool. When we moved to Queensland in 2010, our initial impression was that everything was just the opposite way round. But is it really? • A heavy backpack: Instead of packing my rucksack with waterproofs, hats, gloves etc for the whole family, I usually carry 10 litres of water, even more for whole day hikes. • January to March are low activity months: As opposed to the UK, where the limiting factor is cold, wet weather and short daylight, down under it’s the tropical wet season that restricts us. Firstly, the weather is hot and humid, permanently in the 30s and very sticky. Secondly, there is significant rain, with over 400mm rainfall in each month (as a comparison, London gets 600mm in a whole year). It doesn’t mean there is no sunshine, but when it rains it really does bucket it down. As a result, camping is impossible, hiking not very pleasant, and outback travel severely restricted, as many roads are flooded. • Maps! : The difference couldn’t be more striking. People in the UK are probably not aware how lucky they are to have Ordnance Survey maps. They are just so perfect. Here we often struggle to find anything better than 1:250,000 [as opposed to the Landranger series 1:25,000!]. So the only thing that guides you is a small coloured line on a schematic drawing of the area, published in a book or by the National Parks. That leaves us quite vulnerable. We still usually carry a compass, but without a decent map it isn’t much of a reassurance. • First Aid: Whilst we always carried a basic first aid kit, we now always take a snake bite kit – essentially a large pack of bandages to apply compression and immobilisation to a bitten limb. 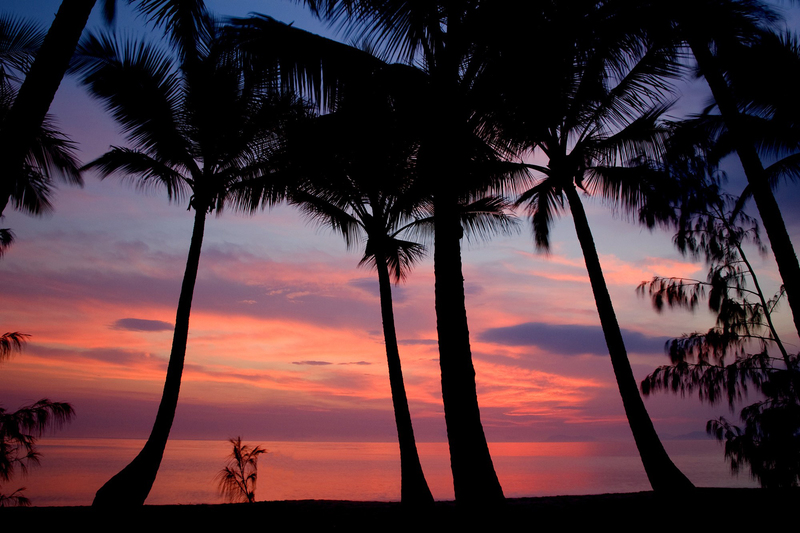 • Colourful skies: We live in Cairns, which is on the East Coast, with a 400-500m high coastal range behind us. Hence we don’t really get any sunsets or evening skies so I rely on sunrises to get a colourful sky onto my photographs. [This of course changes when we go on one of our outback camping trips.] 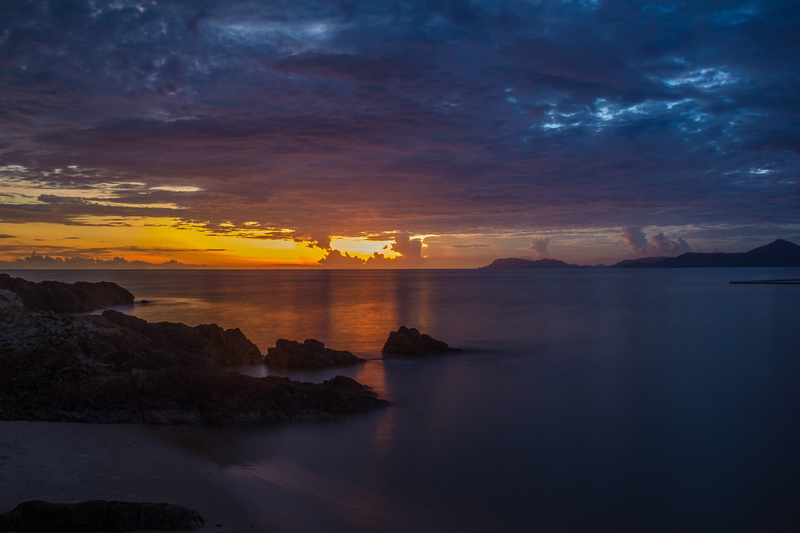 The photo shows a beautiful tropical sunrise during the wet season, with rainclouds forming on the horizon. • Going off-grid: While you can have a lot of fun on normal ‘sealed roads’ a.k.a. bitumen [they only use the word tarmac for the airport runway surface! ], we found that it’s very useful to have a 4WD for many national parks and camping areas. 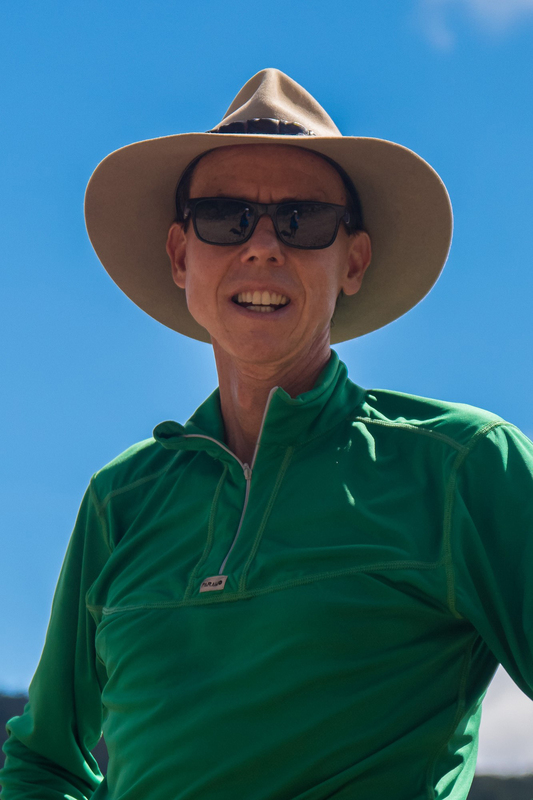 We don’t engage in serious four wheel driving, like shovelling yourself out of sand holes or winching the car up near-vertical steps, but most conventional vehicles would get wrecked on the gravel roads pretty fast. 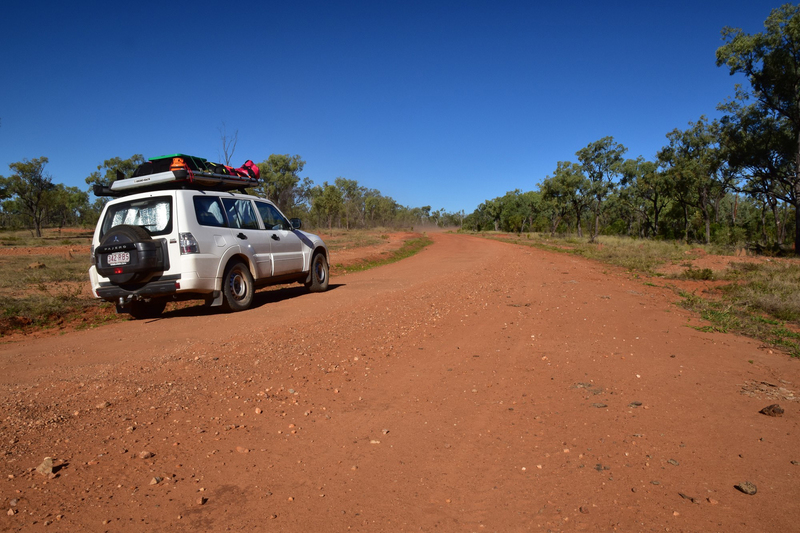 This is our Mitsubishi Pajero on a typical road heading towards Einasleigh in Outback Queensland. 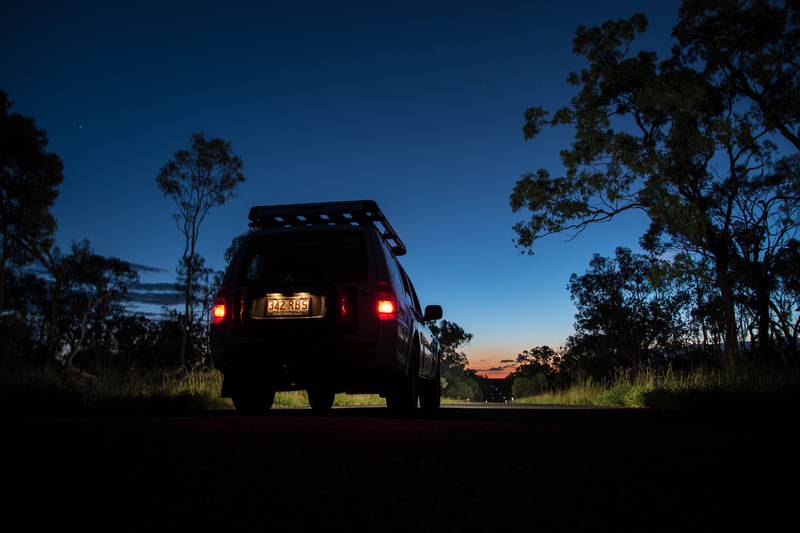 And here is a photo of our Pajero driving back from a sunset hike up a mountain near Mt Surprise in Outback Queensland. Around where we live, the main areas are the coast [and Great Barrier Reef], and the outback, with the steep slopes of coastal range in between. The coastal range is mainly clad in thick tropical rainforest. The coast has a never ending string of beaches in both directions, where we frequently walk, picnics or swim. Here is a morning glow at Palm Cove. Whilst the reef itself is often explored with snorkelling and diving trips, we particularly like visiting the islands, as day trips or overnight. 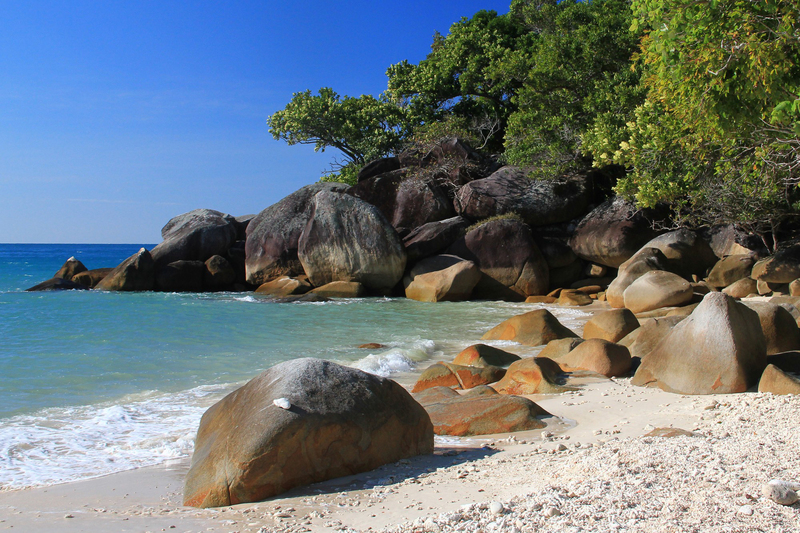 This is a photo from Fitzroy Island, just a 45min boat ride off Cairns. The steep slopes of the coastal range are our main area for day hikes, usually in dense rainforest, which isn’t easy to photograph. The story couldn’t be more different for the outback, which is very photogenic. This is our favourite area to travel, go camping, hiking, mountain biking etc. 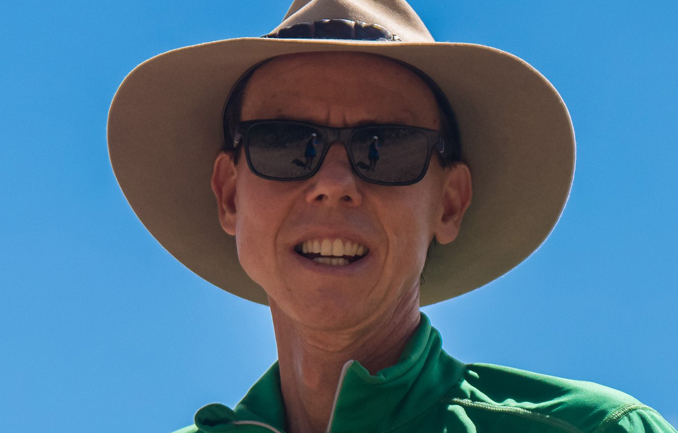 The vegetation varies from eucalypt bushland to semi-desert, there are rocks and gorges, the weather is dry and reliable and the spaces wide open. Talking of weather, during one of our camping trips in July a few years back we were caught out. We were camping around the area of Winton (in the photo), to look at the various dinosaur museums full of locally found bones, and due to the clear skies the temperatures dropped to 3 degrees at night. Needless to say that we wore every single piece of clothing that we had taken… all at the same time! 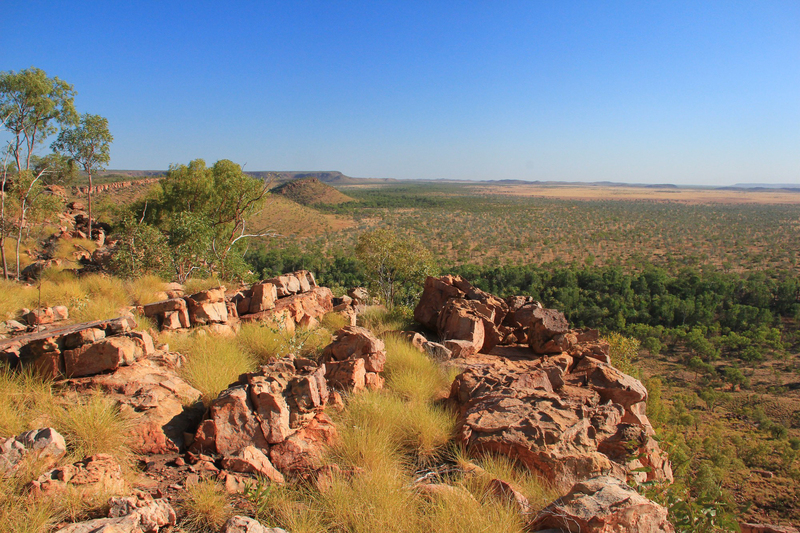 Another favourite haunt is Lawn Hill National Park, also known by its aboriginal name of Boodjamulla, just east of the Northern Territory border. It’s remote ruggedness and beauty are nicely reflected in this photo from one of the hills. Needless to say that this is only a snapshot of our outdoor life in Queensland. There are countless places [and photos] that could be shown off. And there is so much we haven’t seen yet…. f11 Member Todd Stein is a worthy winner in the Spirit of Adventure Category of the Your Vision 2016 Photography Composition, run every year in the Chasing the Light Online Magazine. The Chasing the Light Online Magazine is published monthly by David Noton Photography exclusively for registered f11 Members, and features a wealth of photographic articles, videos and tutorials spanning the globe to inspire and inform.